Age limit: Minimum age for applicants is 18 years, maximum age is 37 years as on 01/01/2018.Age relaxation- 5 years for SC candidates, 3 years for OBC candidate. Diploma in general nursing and Midwifery course or B.Sc nursing from a recognized university can apply. Applicants must be required ICT skill course essentially required fron NIELIT. SC/ST/ Ex-servicemen applicants - Rs.250/- to be paid in online by State Bank of India payment gateway. 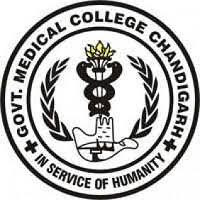 Job Location: Government Medical Collage and Hospital, sector 32 Chandigarh, GMCH-32, Chandigarh. Starting date to apply online-: 20-09-2018. Interested and eligible candidates can apply Online at GMCH official website on or before 25/10/2018.